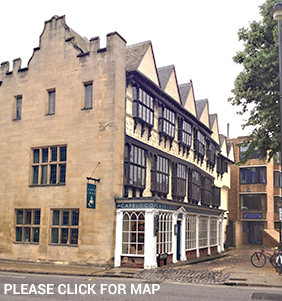 We have a range of rooms suitable for meetings, events, fairs, conventions and conferences, located in St Aldates, right in the heart of Oxford. The Kitchenette can be hired out when using the Newman Room, Hollings Polygon or Narthex. It has two sinks, dishwasher, fridge, kettle, Burco Boilers, cutlery and crockery for 50 people. Book the Kitchenett from £32 per hour Standard Rate or £16 per hour Concessionary Rate for Student Bodies and Charities.